Twelve Santa Clara Valley Transportation Authority (VTA) buses have been pulled out of service in the South Bay as a driver is confirmed to have contracted scabies and three others fear they might have too. Ian Cull reports. Twelve Santa Clara Valley Transportation Authority (VTA) buses have been pulled out of service in the South Bay as a driver is confirmed to have contracted scabies and three others fear they might have too. The dozen buses have been pulled and are being cleaned to make sure there are no signs of mites while the drivers are on paid medical leave. "That is a little alarming," said VTA passenger Sophia Alcazar-Brooks from Campbell. "I think they should really thoroughly try to make sure it [scabies] isn't from taking the buses." The pest control company Terminix is treating the busses as a precaution in order to make sure riders and passengers feel safe as those who use VTA are concerned over the state of cleanliness in which the busses are kept. "It is never like severally dirty, but I have seen it dirty a couple times," said Alcazar-Brooks. The skin condition can be spread through close human contact with family, at child care centers and prison, according to the Centers of Disease Control and Prevention. It can be treated with ointment and sometimes pills. 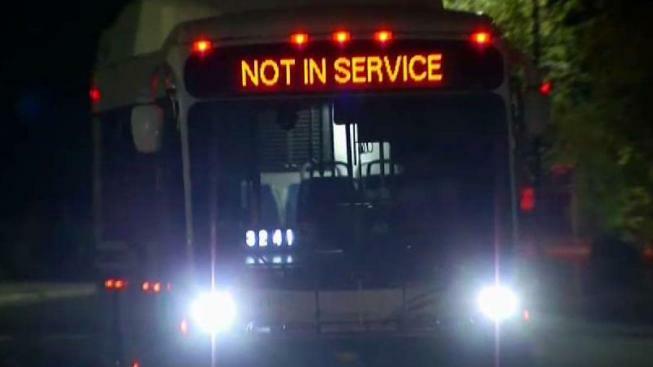 VTA services are not being disrupted and no passengers have reported contracting the skin condition.